A Carson City man, Walter Samaszko, passed away in June with apparently no heirs and very little personal wealth. 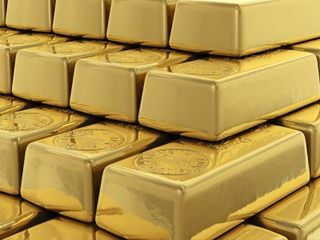 However, cleaners preparing his house for sale discovered he held over $7 million in gold. The Mercury News reports that a San Rafael, California woman appears to be the sole heir to the fortune. Mr. Samaszko, an anti-government champion, was dead for at least one month before neighbors discovered his corpse. Months later, the vast fortune was uncovered and includes stock accounts valued at over $165,000 and cash of $12,000. The estimates of the $7 million estate are solely based on the weight of the gold. However, there are rare, antique coins in the collection which could drive the total value far higher. One, never assume the size or extent of anyone’s estate. Despite appearances to the contrary, there are many wealthy individuals who show no signs of their wealth. Two, plan now for incapacity and death. There is no telling what Mr. Samaszko intended to do with his gold collection. However, some simple estate planning could have assisted him in avoiding over $1 million in taxes. Likely Mr. Samaszko would be abhorred to think that the government will be the beneficiary of his failure to plan. Three, keep in contact with relatives, whether distant or remote. You never know if you might end up becoming the lucky recipient of a gift or bequest from a family member.